Jean Marie Fauber Plusch, 78, Kokomo, entered her Heavenly home at 12:50 p.m. Saturday, April 13, 2019, from her home. She was born July 8, 1940, in Chicago, Illinois, the daughter of Eugene M. & Viola (Fleming) Fauber. On December 22, 1973, in Lafayette, Indiana, she married John A. Plusch, Jr. and he survives. Jean knew herself as a servant of God. 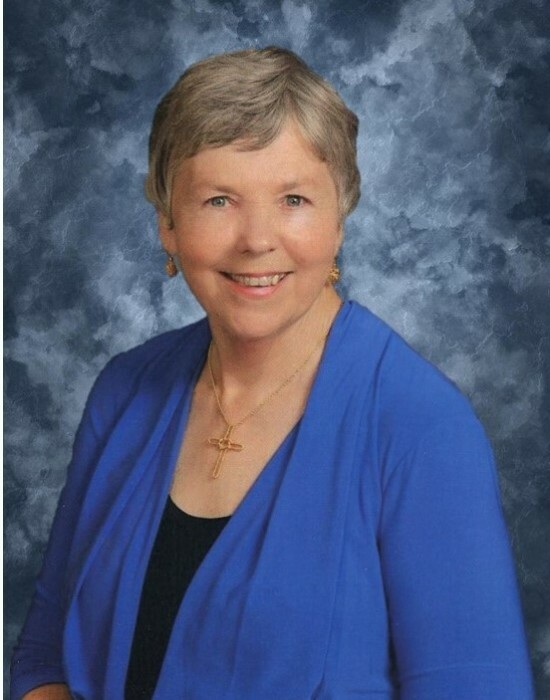 In 44 years at Gloria Dei Lutheran Church in Highland, IN, she taught Sunday School, led many Bible studies, was a Stephen Minister, worked as Parish Assistant, served on church council, and participated in many other ministries. In her early 50s she answered God’s call to her when she was consecrated as a Deaconess by the Lutheran Deaconess Association and served as a chaplain at Christ Hospital, in Oak Lawn, Illinois. God made Jean for chaplaincy, and she fulfilled this calling for the rest of her life. Jean graduated from Hammond High School in 1958. She earned a B.S. of Home Economics in 1962 and an M.S. in audiology in 1974, both from Purdue University. She earned an M.A. in theology from Valparaiso University in 1992. In the early to mid 1960’s, Jean worked as a preschool teacher at the Rochester School for the Deaf in Rochester, New York. She loved John Plusch and the outdoors; together they, canoed, sailed, camped, flew an amphibious plane, and fished in the Canadian wilderness. She loved their dogs, Tucker, Katy, Sigrid, Cocoa and Piiku. In addition to her husband, she is survived by her daughter, Susan (Mike Varnau) Mack; son, William (Felisa Lewis) Acheson; grandchildren, Lillianne Acheson, Eleanor Acheson, Ryne Acheson, Andrew Varnau, Alexander Varnau and Lauren (Logan) Varnau Link; brothers, Clarence (Sharon) Fauber and Martin (Laurie) Fauber; nephew, Paul Fauber; and nieces, Kimberly Fauber, Crystal (John Loechler) Fauber and Rebecca (Bryan) Fauber Comune. The funeral service will be held at 11 a.m. on Wednesday, April 17, 2019, at Christ Lutheran Church, 3401 S. Dixon Rd., Kokomo, with Pastor Sharon Walker officiating. Burial will take place at 2:30 p.m. on Wednesday in Riverview Cemetery in Monticello. Friends are invited to visit with the family from 4 to 6 p.m. on Tuesday at Shirley & Stout Funeral Home, 1315 W. Lincoln Rd., Kokomo, and one hour prior to the service on Wednesday at the church. Contributions may be made in Jean’s memory to the Fisher Center for Alzheimer’s Research, www.alzinfo.org. Messages of condolence may be left online at www.shirleyandstout.com.